Another One! 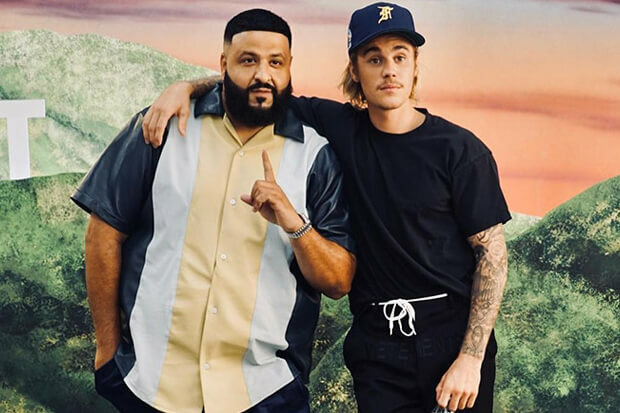 DJ Khaled Reunites With Justin Bieber On "No Brainer"
Today (July 23), Khaled confirmed the news and revealed that everyone except Wayne are back in action on their new single. He first teased the reunion during an interview on Conan last week. There he promised it would be “one of the biggest anthems” of the summer. However, he waited until this morning to confirm that both the single and video are set to drop Friday (July 27). In a series of teasers on Instagram, he gradually rolled out the news. In one video, Justin and his manager, Scooter Braun, joined in and showcased their southern accents. “We’ve always been the best and always will be the best. That’s a statement and a half,” Bieber teased. It looks like “No Brainer” will land on Khaled’s forthcoming album, Father of Asahd. His son, Asahd Khaled, acted as executive producer on the project. It follows last year’s Grateful, which topped the Billboard 200 and spawned a trio of radio hits including “Wild Thoughts” featuring Rihanna and Bryson Tiller. Check out the teasers below! BREAKING NEWS!music and video FAN LUV #NOBRAINER THIS FRIDAY ANTHEM !AND VIDEO! #DJKHALED feat @justinbieber @chancetherapper @quavohuncho #FatherOfAsahd @wethebestmusic @epicrecords @rocnation ANOTHER ONE ! Remember each leads to the next MORES s soon come !